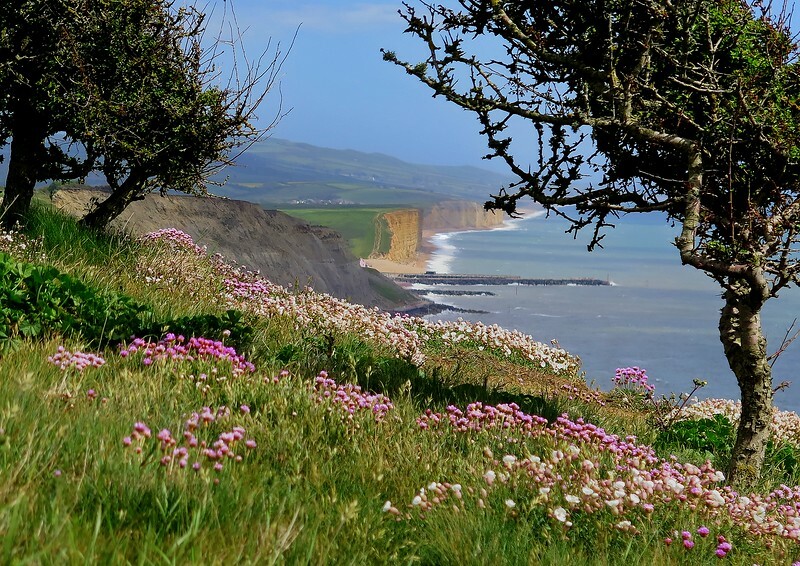 Weather : Sunny periods dry and warm. 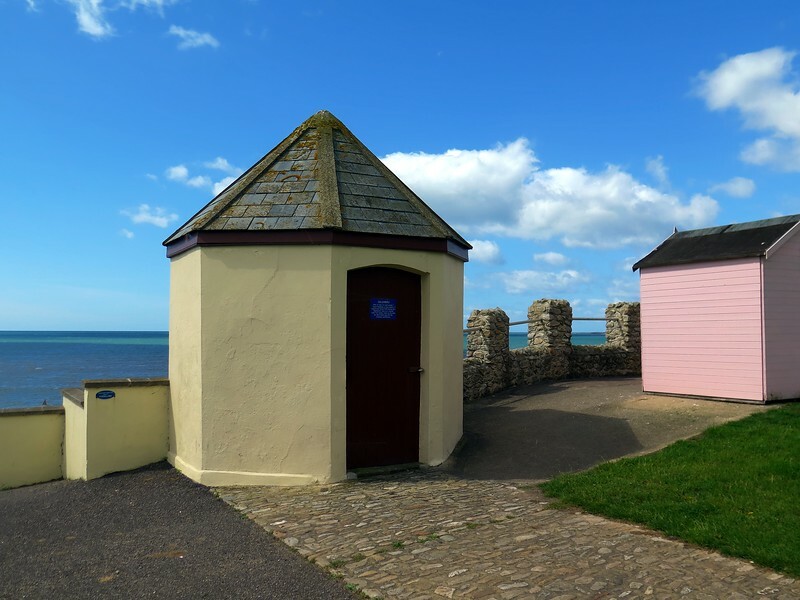 Built during the Napoleonic Wars as part of the coastal warning system (against invasion) but used principally as a base for Excisemen working against smuggling. 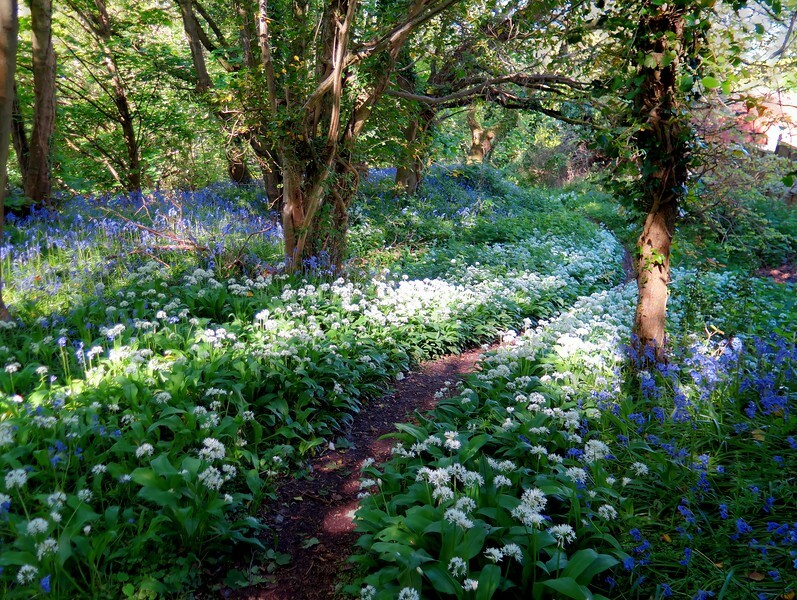 Wild Garlic and Bluebells grace the path here. 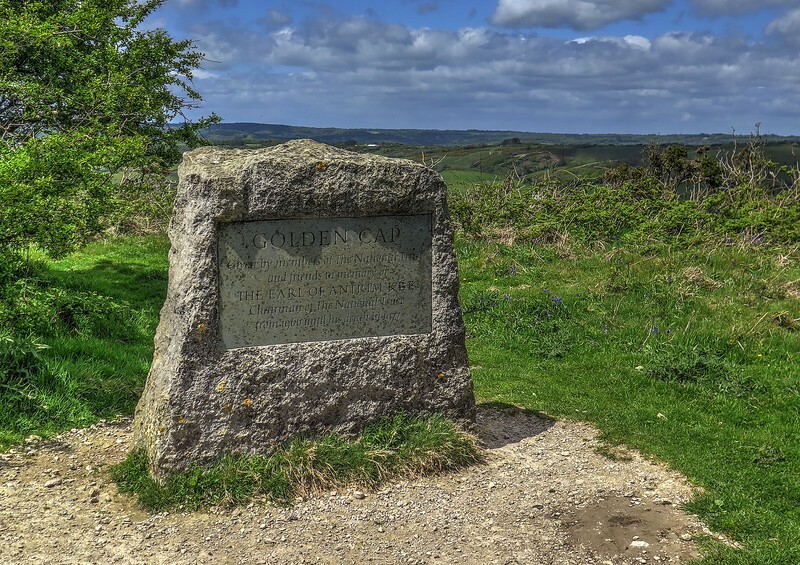 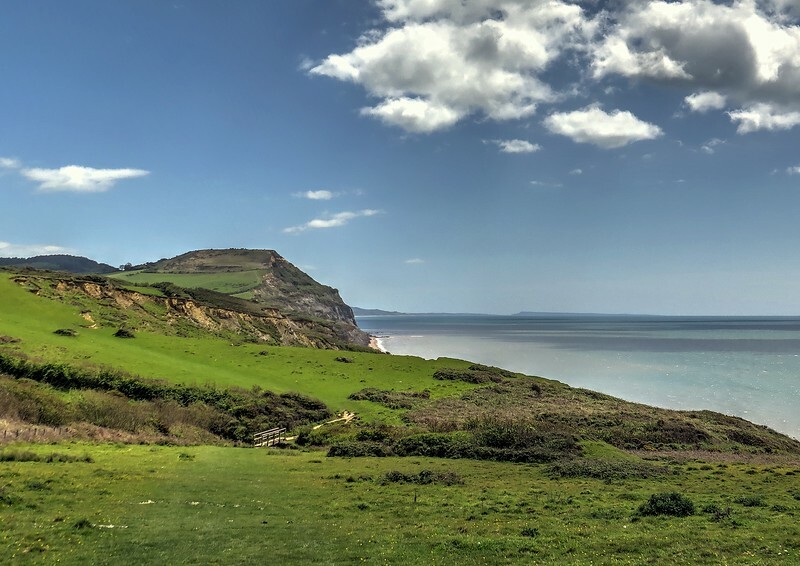 The highest point on the South coast, Golden Cap, looms ahead. 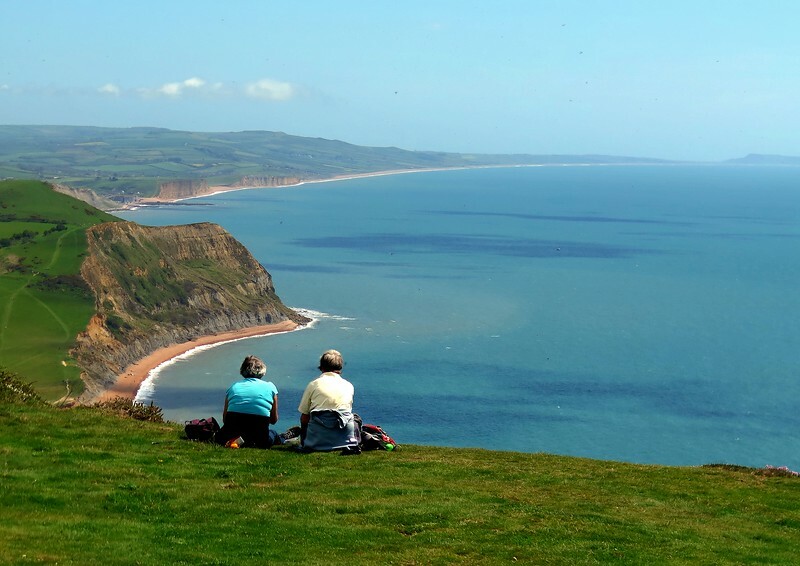 Two ladies take in the splendid view from Golden Cap. 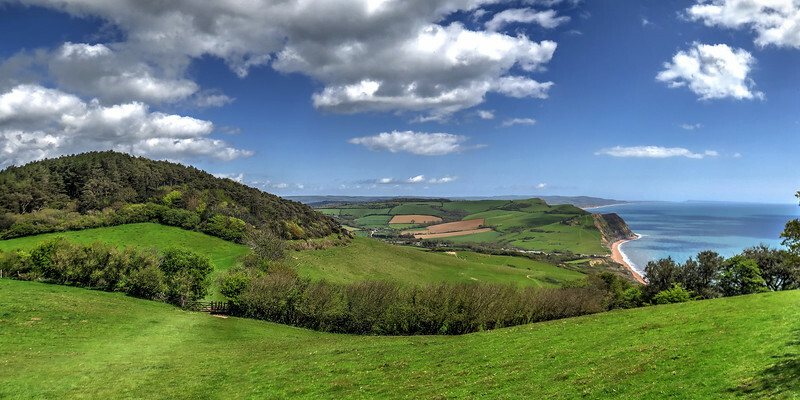 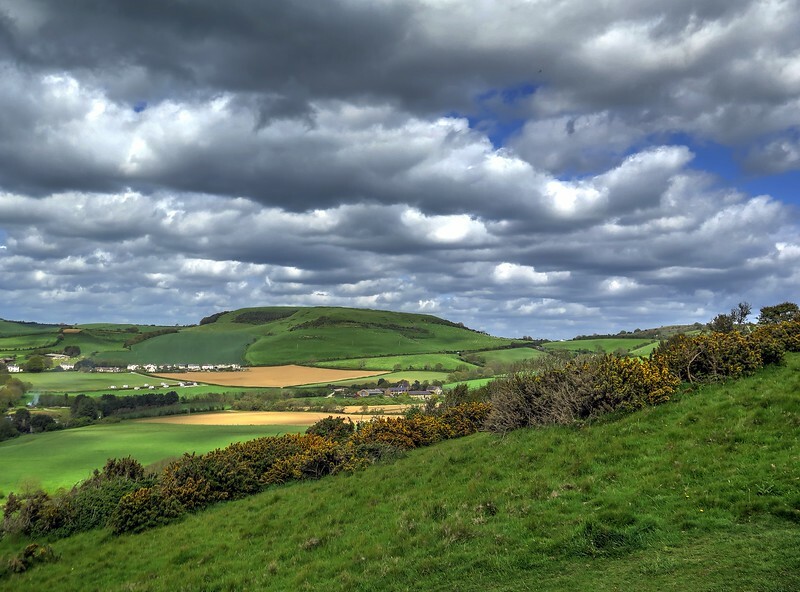 Up again from Seatown towards Thorncombe Beacon. 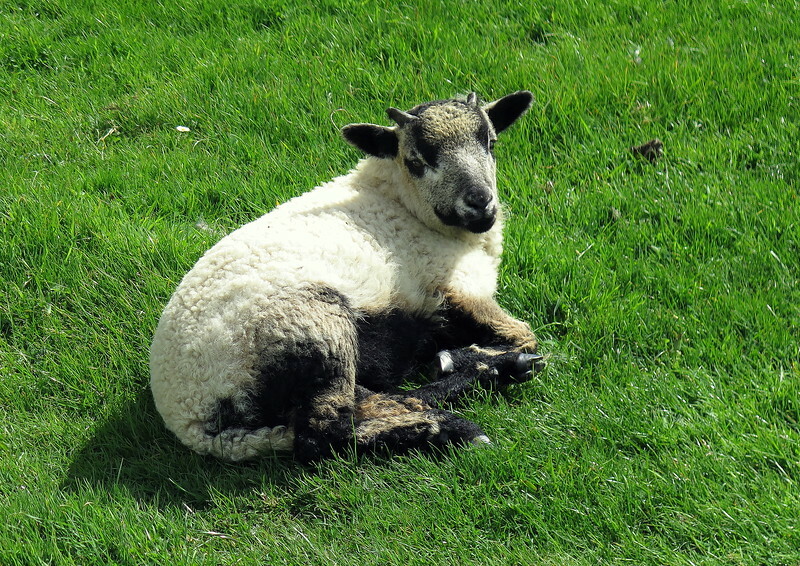 A rare breed lamb on the hill. 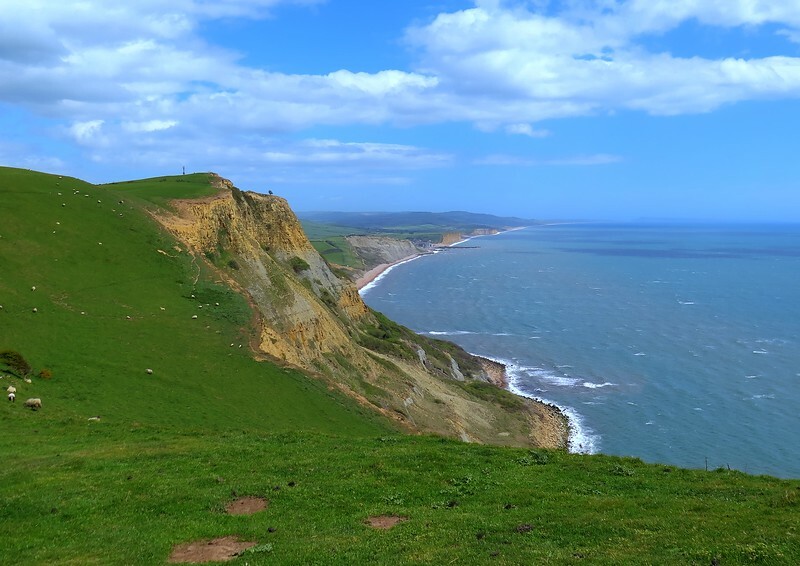 Thorncombe Beacon and beyond is West Bay, tonight's destination. 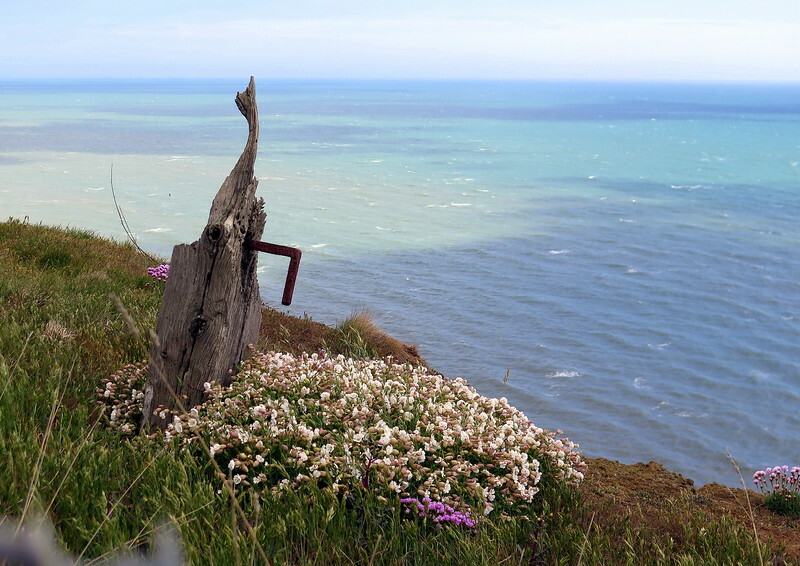 A well weathered old gatepost on the cliff edge at Thorncombe Beacon. 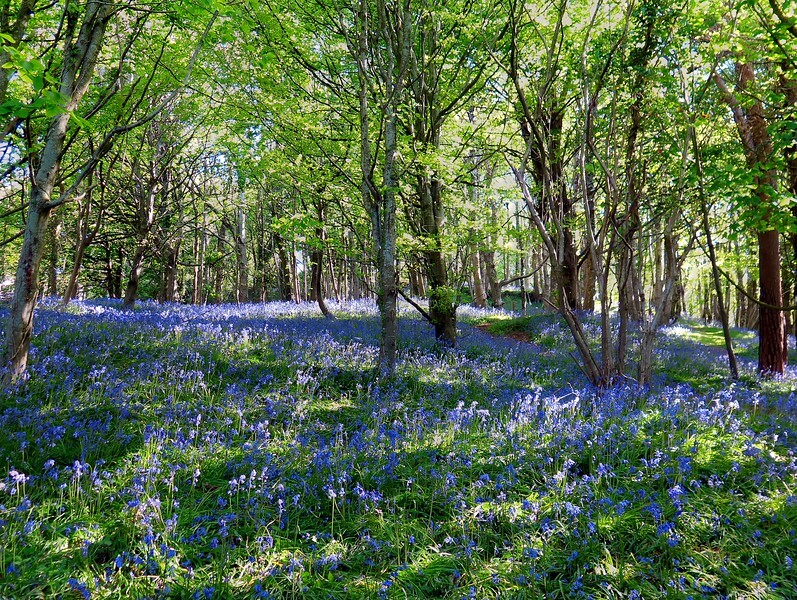 There are many flowers along the way at this time of year. 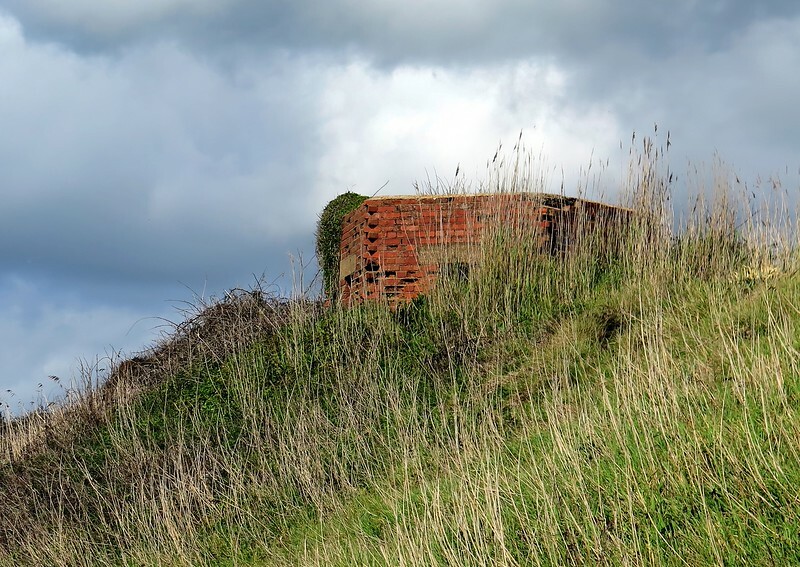 A wartime 'pillbox' gun emplacement hides in the grass.